← Unfinished Muse Is Out! So, I’ve been hinting for some time about a secret project. It’s time to finally tell you about it. But here’s the catch: I don’t want you to buy it. I know. That sounds even crazier than the usual crazy I give you. But I have a couple of good reasons. Before I explain, let me tell you what I’m making! If you’ve read Unfinished Muse or Transmonstrified, you will have seen the related Mt. 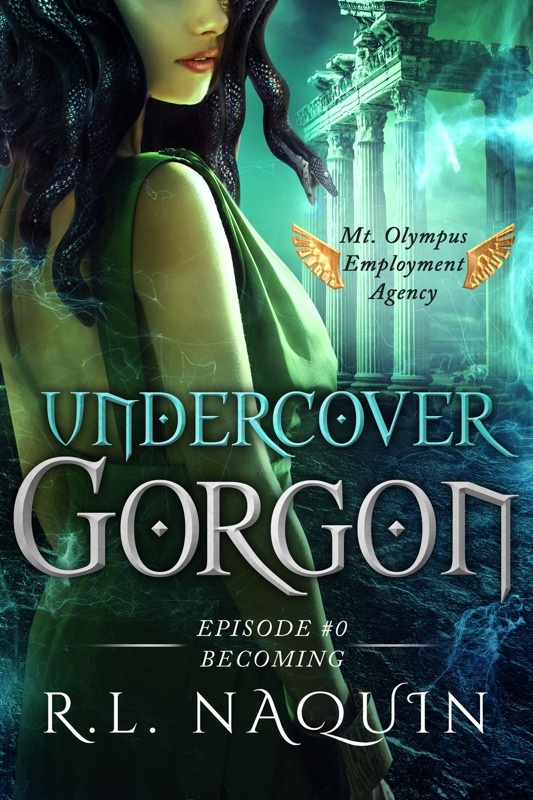 Olympus short story “Undercover Gorgon.” It’s about the gorgon receptionist, Patrice, how she finds out she’s a gorgon, and what she does after hours when the lights go out at Mt. Olympus. Patrice has many more adventures to share with you after that one. So. Today we’ve released the first episode of Patrice’s story. See how pretty the cover is? I love this cover so much. 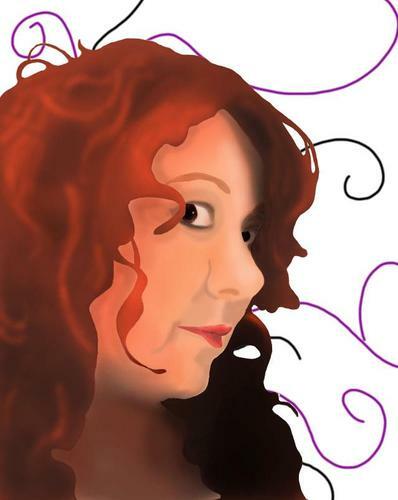 Clarissa from Yocla Designs spoils me with her work. Notice on the bottom, it says “Episode #0 — Becoming.” Each Patrice episode that comes out will have the same cover, but that line will change. Now, why don’t I want you to buy this one? For two reasons. 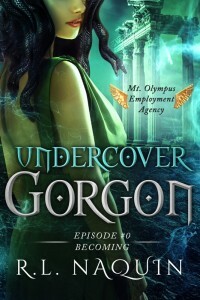 First, Episode #0 is a repackaging of the original “Undercover Gorgon” story available in two other books. I’d hate for you to spend money on it, expecting it to be something new. Second, I’ve posted it free everywhere but Amazon. I can’t price things permanently free on Amazon. In another week or so, though, Amazon should price match the other folks, so eventually it’ll be free there, too. If you really don’t have this story yet but want to read it, either wait until Amazon has it free, get it somewhere else, or send me an email so I can send it to you. 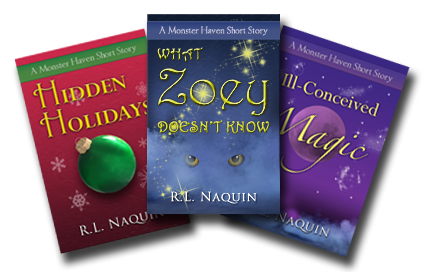 If you want to take a look you can find them right now on Amazon and Smashwords. All the other places will have it in the next week or so. I absolutely don’t want my friends unnecessarily paying for Episode #0, okay? In December, “Episode #1 — Witches War” will be out. That one will be brand new. If you want to buy it, I certainly won’t try to talk you out of it. My goal is to try and have something new for you, whether it’s a new novel, collection, miniseries, or short story every month from here on out. So, a new Undercover Gorgon episode will generally be out every month or two. And at the end of next year, we should have enough episodes to put them all together in a single book, which will also be available in paperback. But first, Book 2, Unamused Muse! I ran into a snag, but it’ll be out at the end of next month. Yay!